I’m dreaming of a white February! As we were at the end of January and still hadn’t had any snow It seems that the wintry white season that I remember as a child at Christmas has moved to February this year. The remains of a wall buried under the snow with the stile remaining took near Tor Rock in the Peak District. 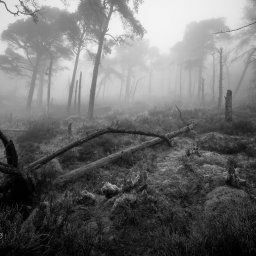 As an amateur photographer and a keen amateur one at the moment I will jump at the chance to get out in the snow, fog, mist, cloud inversion in fact any adverse weather condition to be fair! As I take photos I would like to think that I am getting better and better and learning from my mistakes, one of my 2013 new years resolution was to try and get out what ever the weather because its these times when you get unexpected opportunities than just the usual sunrise – sunset shots. This is also my first time shooting photos in the snow, and the best tip I read was to set the exposure compensation to +1 to trick the camera that the scene is not all white. Taking photos in the snow can be demoralizing as well, I often found a great composition but with a white foreground and a white (snow filled) sky the entire image just looked white, like an A4 piece of paper. I have since found that the better snow shots are those with colour in the sky. I had last year got into a phase of watching the weather forecast and only going out though the door if there was a big bright sun forecasted, and I know that you can get excellent photographs in all types of weather, you just have to sometimes work and think a little bit harder. The snow remained for a week and I managed to get out on a few more occasions, I went mainly in the Southern areas of the Peak District, Roaches, Buxton, Chrome Hill, Parkhouse Hill and to finish of as the snow was melting I went up onto Kinder Scout with some friends, my first visit to the summit of Kinder Scout! I have put together a little album of some of my snow shots all taken in the Peak District, I have hidden them from mobile. The load would be just to much! 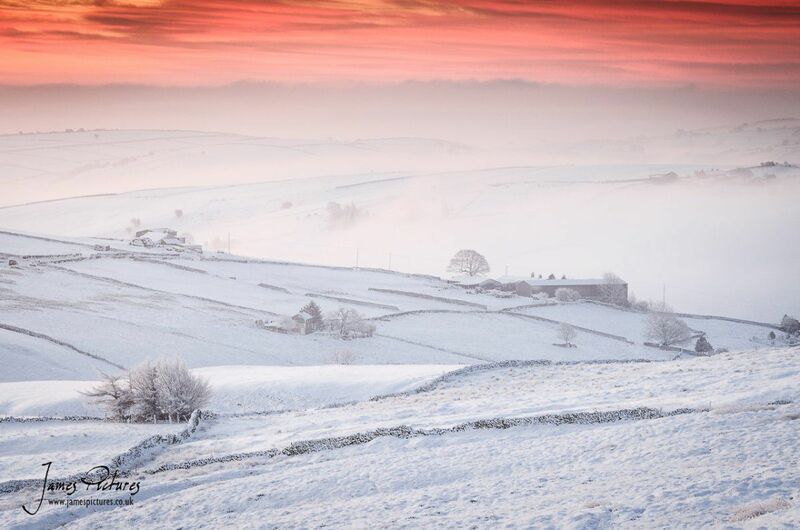 A stunning morning in the Peak District, snow and a beautiful red sky. A stunning morning in the Peak District, snow and a beautiful red sky. A stunning morning in the Peak District, snow and a beautiful red sky. 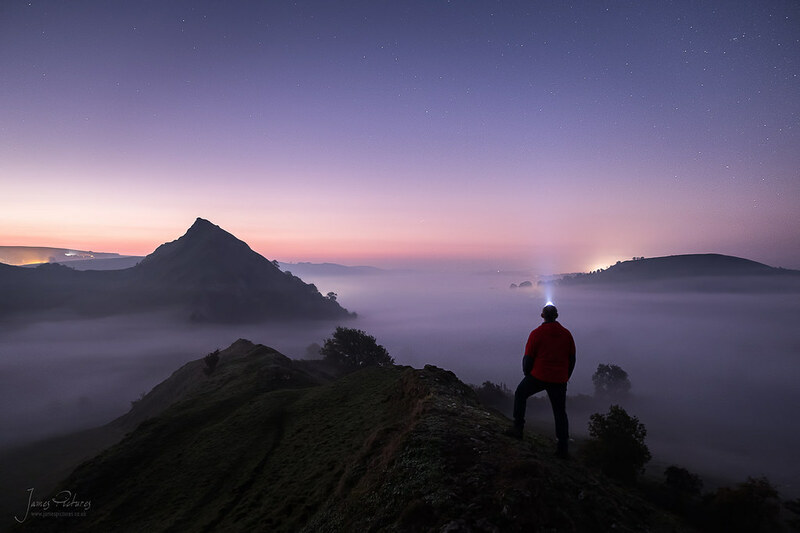 Just South of Buxton, before sunrise on a cold January morning. The mixture of snow, fog and the amazing sky produces rather a unique scene. 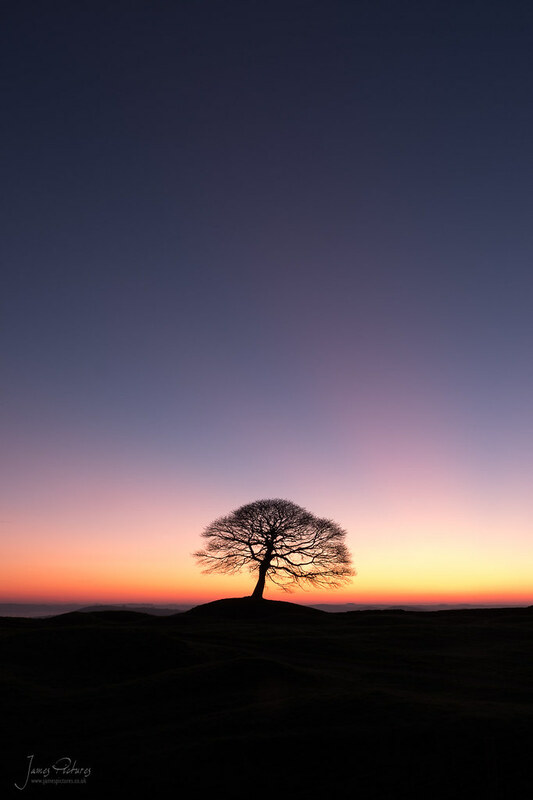 Just South of Buxton, before sunrise on a cold January morning. The mixture of snow, fog and the amazing sky produces rather a unique scene. Just South of Buxton, before sunrise on a cold January morning. The mixture of snow, fog and the amazing sky produces rather a unique scene. A misty morning in the Dove Valley in the Peak District covered snow. A misty morning in the Dove Valley in the Peak District covered snow. A misty morning in the Dove Valley in the Peak District covered snow. 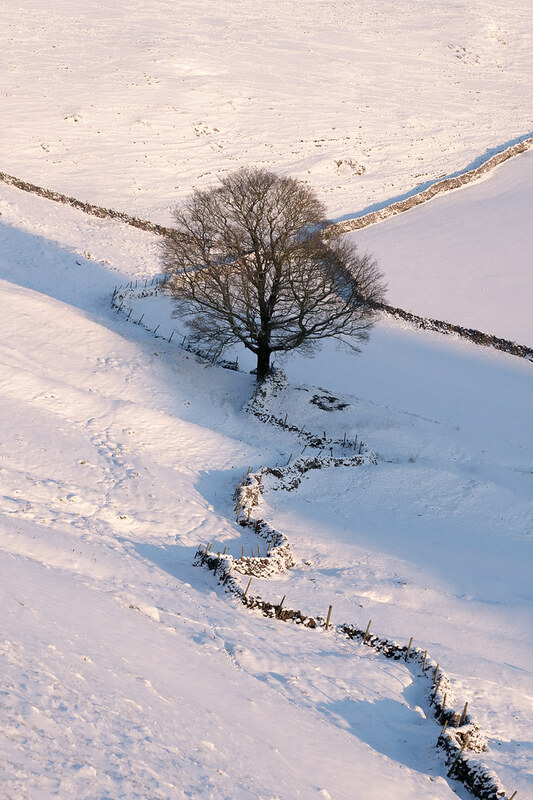 Taken from Axe Edge near Buxton in the Peak District, this image for me resembles a typical winter scene in the Peaks. Snow with some fog coming up a small valley, the morning sun casting a pink hue over the land, and 2 farms either side of the valley divided by the morning's fog. Taken from Axe Edge near Buxton in the Peak District, this image for me resembles a typical winter scene in the Peaks. Snow with some fog coming up a small valley, the morning sun casting a pink hue over the land, and 2 farms either side of the valley divided by the morning's fog. 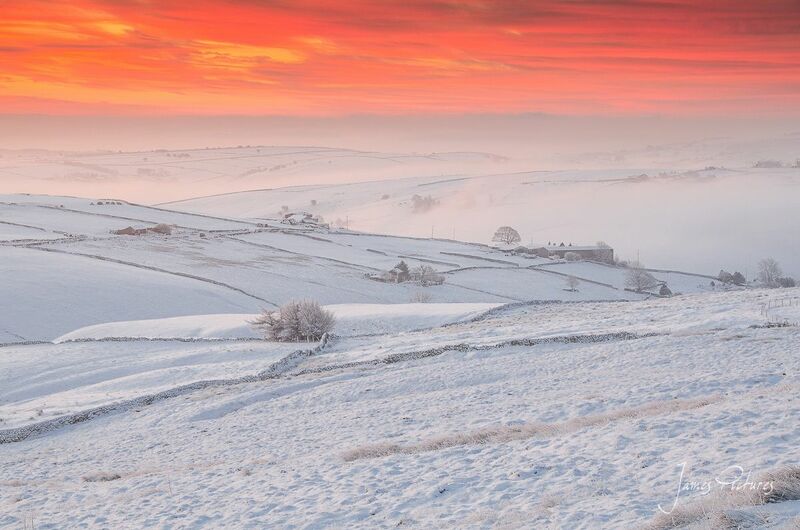 Taken from Axe Edge near Buxton in the Peak District, this image for me resembles a typical winter scene in the Peaks. Snow with some fog coming up a small valley, the morning sun casting a pink hue over the land, and 2 farms either side of the valley divided by the morning's fog. I was fortunate enough to spot this heart carved into a tree, that has grown over th years, as the snow defines it and makes it stand out. I was fortunate enough to spot this heart carved into a tree, that has grown over th years, as the snow defines it and makes it stand out. I was fortunate enough to spot this heart carved into a tree, that has grown over th years, as the snow defines it and makes it stand out. Taken in Ilam, Staffordshire in the Peak District a few weeks ago in the first downfall of snow we had. Looking across Ilam Country Park (National Trust) making a lovely snow covered scene. Taken in Ilam, Staffordshire in the Peak District a few weeks ago in the first downfall of snow we had. Looking across Ilam Country Park (National Trust) making a lovely snow covered scene. Taken in Ilam, Staffordshire in the Peak District a few weeks ago in the first downfall of snow we had. Looking across Ilam Country Park (National Trust) making a lovely snow covered scene. On top of The Roaches looking out towards Ramshaw Rocks with a light covering of snow. On top of The Roaches looking out towards Ramshaw Rocks with a light covering of snow. On top of The Roaches looking out towards Ramshaw Rocks with a light covering of snow. A magical morning of Snow, Mist and Sun makes for a wonderful scene along the Dove Valley, where the River Dove divides the counties of Staffordshire and Derbyshire. A magical morning of Snow, Mist and Sun makes for a wonderful scene along the Dove Valley, where the River Dove divides the counties of Staffordshire and Derbyshire. A magical morning of Snow, Mist and Sun makes for a wonderful scene along the Dove Valley, where the River Dove divides the counties of Staffordshire and Derbyshire. 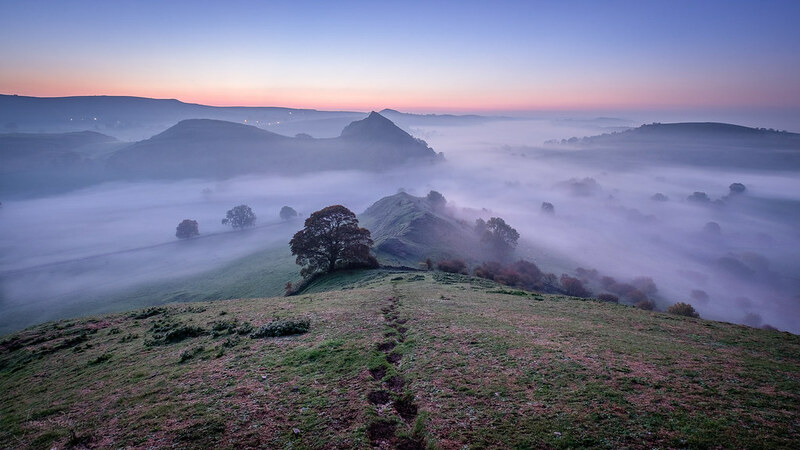 The spectacular Chrome Hill in the Peak District. 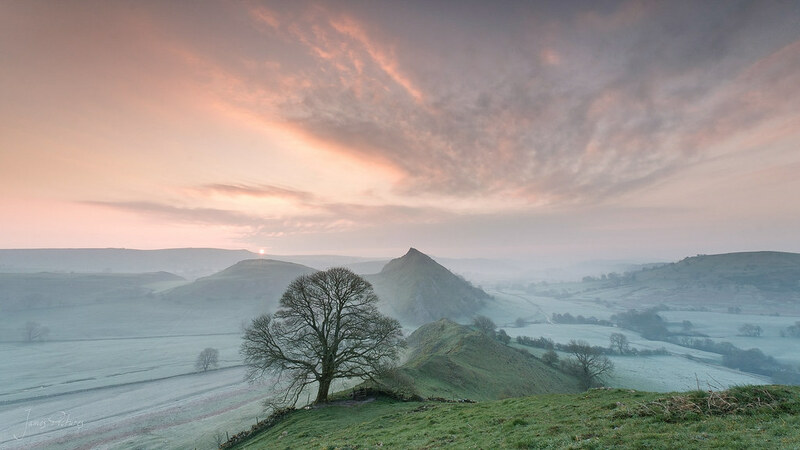 The spectacular Chrome Hill in the Peak District. 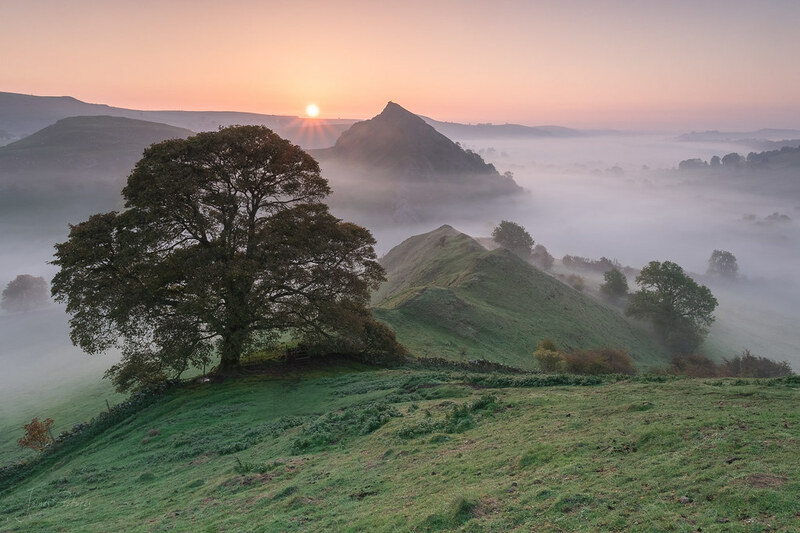 The spectacular Chrome Hill in the Peak District. The first to walk the path along Dovedale is a great feeling especially in the snow! The first to walk the path along Dovedale is a great feeling especially in the snow! The first to walk the path along Dovedale is a great feeling especially in the snow! Ive always admired this view, and im sure many others have. Its not often though that the low cloud reveals Shutlingsloe covered in snow and light. Ive always admired this view, and im sure many others have. Its not often though that the low cloud reveals Shutlingsloe covered in snow and light. Ive always admired this view, and im sure many others have. Its not often though that the low cloud reveals Shutlingsloe covered in snow and light. Looking North to the highest point on Ramshaw Rocks with the sun rising to the right casting light and shadows over a snow covered scene. 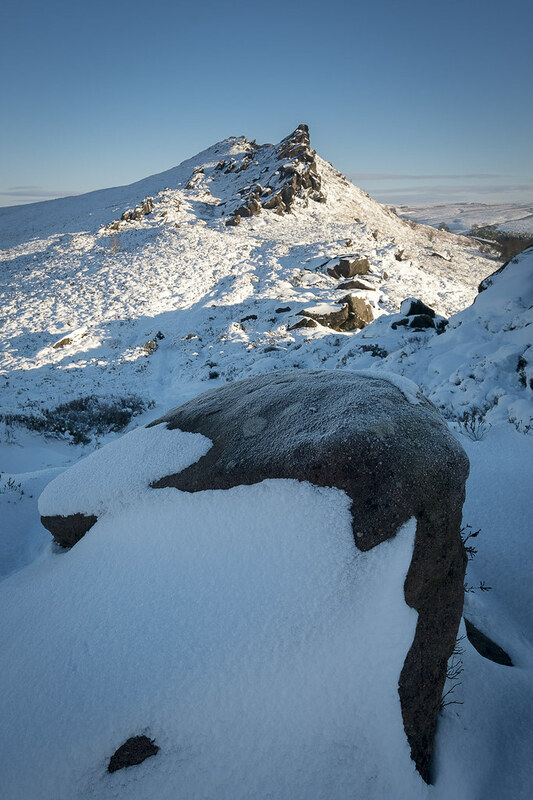 Looking North to the highest point on Ramshaw Rocks with the sun rising to the right casting light and shadows over a snow covered scene. Looking North to the highest point on Ramshaw Rocks with the sun rising to the right casting light and shadows over a snow covered scene. The remains of a wall buried under the snow with the stile remaining took near Tor Rock in the Peak District. The remains of a wall buried under the snow with the stile remaining took near Tor Rock in the Peak District. Looking out over towards Chrome Hill from Parkhouse Hill on a snowy afternoon. Looking out over towards Chrome Hill from Parkhouse Hill on a snowy afternoon. Looking out over towards Chrome Hill from Parkhouse Hill on a snowy afternoon. Overlooking Parkhouse Hill covered in snow in the Peak District with its distinctive shape, The sun is casting some wonderful side lighting and warming the scene. Overlooking Parkhouse Hill covered in snow in the Peak District with its distinctive shape, The sun is casting some wonderful side lighting and warming the scene. 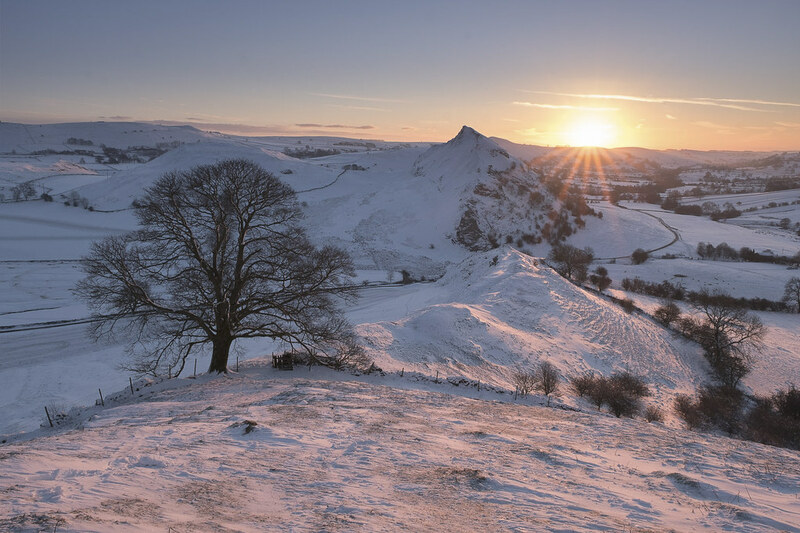 Overlooking Parkhouse Hill covered in snow in the Peak District with its distinctive shape, The sun is casting some wonderful side lighting and warming the scene. A cold morning up on Ringing Roger looking down onto the Edale Valley, as the sleet stopped the sun broke through to light up the valley. A cold morning up on Ringing Roger looking down onto the Edale Valley, as the sleet stopped the sun broke through to light up the valley. A cold morning up on Ringing Roger looking down onto the Edale Valley, as the sleet stopped the sun broke through to light up the valley. The sun shining down on the trees behind an old pump house next to Coldeaton Bridge on the River Dove, North of Milldale. The sun shining down on the trees behind an old pump house next to Coldeaton Bridge on the River Dove, North of Milldale. The sun shining down on the trees behind an old pump house next to Coldeaton Bridge on the River Dove, North of Milldale. Near Elkstone in the Peak District I could see a nice scene forming with the mist and frozen trees, a beautiful morning. This is the colour version of the scene as well, everything frozen white! Near Elkstone in the Peak District I could see a nice scene forming with the mist and frozen trees, a beautiful morning. This is the colour version of the scene as well, everything frozen white! Near Elkstone in the Peak District I could see a nice scene forming with the mist and frozen trees, a beautiful morning. This is the colour version of the scene as well, everything frozen white! On top of The Roaches is Doxey Pool, I captured this just after Sunrise, Stunning view! On top of The Roaches is Doxey Pool, I captured this just after Sunrise, Stunning view! 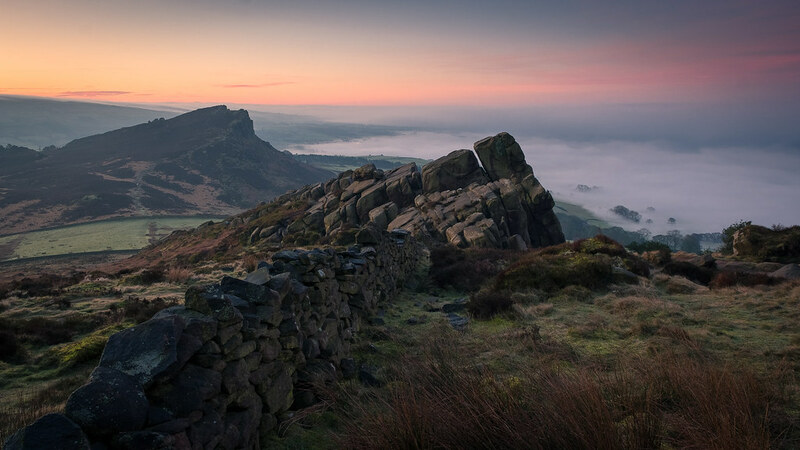 On top of The Roaches is Doxey Pool, I captured this just after Sunrise, Stunning view! Just south of Hulme End in Staffordshire, a farmer clears fallen trees with mist formed in the River Manifold beyond. Just south of Hulme End in Staffordshire, a farmer clears fallen trees with mist formed in the River Manifold beyond. Morning light hitting both Parkhouse in the foreground and Chrome Hill behind. Morning light hitting both Parkhouse in the foreground and Chrome Hill behind. Morning light hitting both Parkhouse in the foreground and Chrome Hill behind.